The Future of Specials is nearly upon us and we are almost ready to share the exciting news with everyone! The Latest Edition of The Independent Community Pharmacist Magazine – You may see us on the back page! We would be delighted to share our announcement with our loyal customers, as well as the rest of the attendees so please refer to our Pharmacy Show Return Announcement for all of the details you need to see us! We are delighted to finally confirm that after a 4 year absence, Rokshaw Laboratories is returning to ‘The Pharmacy Show’ at the NEC in Birmingham on 8th-9th October. 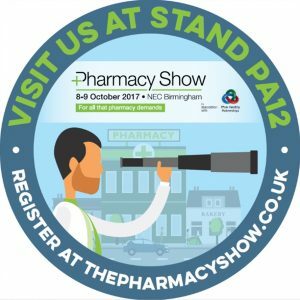 We really hope to see a good turnout of our loyal current customers, as well as new faces to show what service we can provide, therefore if you wish to come and see us then register via www.thepharmacyshow.co.uk and make sure you don’t miss our exciting developments! Rokshaw Laboratories is delighted to be featured in the latest edition of the the Independent Community Pharmacist Magazine! In the latest ‘Specials’ feature, Director Jonathan Hodgson has given his comments on the current state of the Specials industry, with regards to the new quality guidance issued to all Specials companies. The guidance referred to how all Specials companies now have to receive a written order confirmations, in what ever form that may be. Rokshaw Laboratories can announce the following changes to the Part VIIIB Specials Drug Tariff, with effect of August 1st 2017. The following changes are: 3 Products Added, 2 Products Removed, 43 Price Increases and 202 Price Decreases. Also, please find our Drug Tariff Calculator, which has been updated from the 1st August 2017.For more information on the August 2017 Specials Drug Tariff, please access the following link for the full Drug Tariff. Rokshaw Laboratories is delighted to announce that we received the award of ‘Employer of the Year’ at the Sunderland College Apprenticeship Awards Dinner 2017 in June. 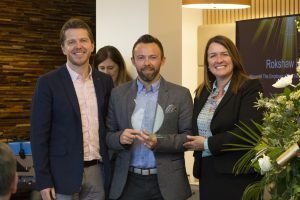 We have always been committed to giving opportunities to apprentices in the local area, therefore we are overwhelmed and grateful to be recognised for our efforts. 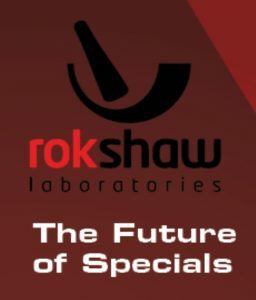 As Rokshaw Laboratories continues to grow, local apprentices will prove to be a big driving force in establishing the company as a Specials Manufacturer that Pharmacies, Hospitals, Dispensing Doctors & Wholesalers can trust. 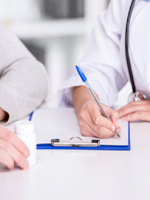 The MHRA & GPhC are now insisting that all Specials companies take orders in writing. We understand how big this change will be, therefore we are taking all necessary steps to ensure that the transition of the Rokshaw Laboratories ordering process is smooth. All Specials Companies were informed by the MHRA on the 9th January 2017 that they must impose this with immediate effect. These regulations are compulsory and considered complementary to the GPhC guidance that was issued on 14th April 2016. When you are too busy and cannot get on your email, online ordering account or fax, please call us and we can initiate the order and can start the manufacturing process but we will require a written confirmation before the order can be released by our Pharmacist/QA Releaser. Our customer services team are here to support you and help make this transition as smooth as possible. If you need help setting up your online ordering system or want to discuss these regulations further please feel free to get in touch. For additional information about our easy to use online ordering system, we will be posting our online ordering guide soon. Rokshaw Laboratories can announce the following changes to the Part VIIIB Specials Drug Tariff, with effect of May 1st 2017. The following changes are: 2 Products Added, 1 Product Removed, 50 Price Increases and 198 Price Decreases. Also, please find our Drug Tariff Calculator, which has been updated from the 1st May 2017.For more information on the May 2017 Specials Drug Tariff, please access the following link for the full Drug Tariff. 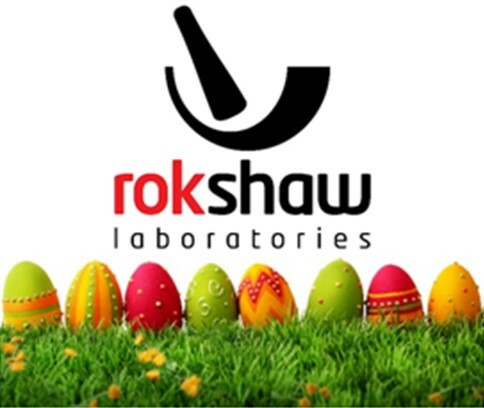 Rokshaw Laboratories would like to advise all customers with our Opening and Delivery Times over the Easter period. Rokshaw is looking to engage a specialist contractor to re-design our clean room and expand the current clean room envelope to enable us to offer a leaner production process. Please click on the attached link for tender details. Rokshaw Laboratories can announce the following changes to the Part VIIIB Specials Drug Tariff, with effect of February 1st 2017. The following changes are: 2 Products Added, 0 Products Removed, 62 Price Increases and 187 Price Decreases. Also, please find our Drug Tariff Calculator, which has been updated from the 1st February 2017.For more information on the February 2017 Specials Drug Tariff, please access the following link for the full Drug Tariff.